Here we are with my first of, hopefully, many Stamping Saturdays! 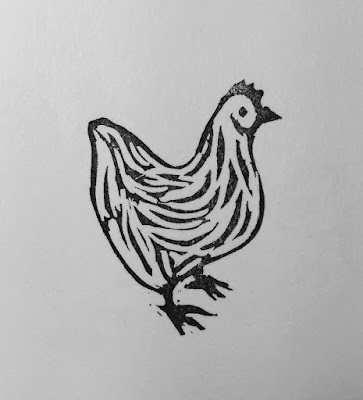 Earlier this week I carved a rooster for the upcoming Lunar New Year. 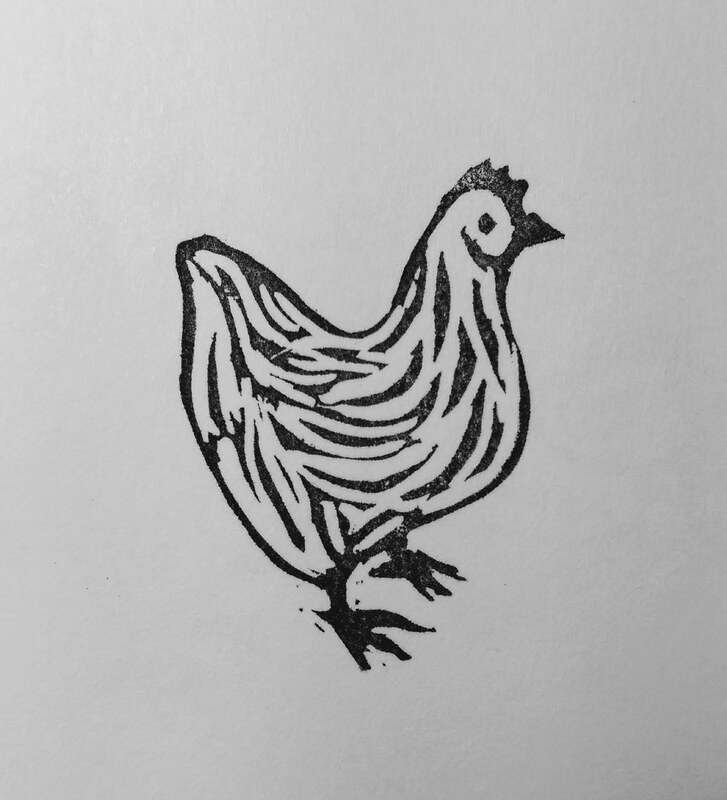 Someone suggested he needed a hen, so I carved a hen for Stamping Saturday. However, everyone knows that when you have a rooster and a hen, you get chicks. They are rambunctious little ones! And tiny too. 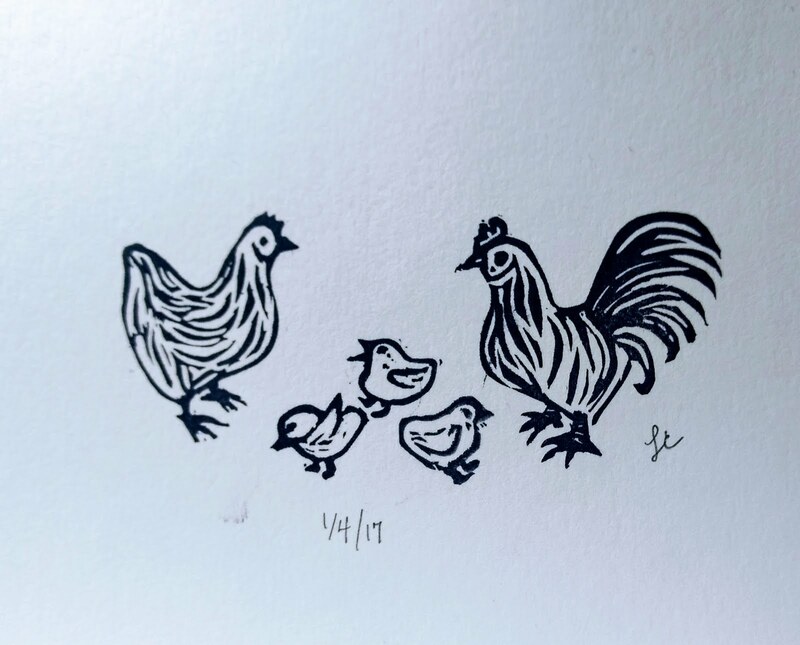 The three of them are only 1.25"w x.75" h.
I think I need to start working bigger. I really like your stamps.